Ontario Community Newspapers Association president John Willems, middle, is surrounding by advertising and journalisms students and faculty. From left, journalism student and former Times managing editor Iliyana Shoushounova, advertising student Sam Sellon, former Times editor Trevor Oattes, and advertising student Candy Wasserman. At right are journalism coordinator/professor Joe Banks and advertising professor Jake Volt. The group attended the association's annual convention in Vaughan, Ontario, to receive the awards. 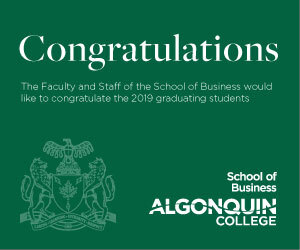 Algonquin Times print and digital editions were named the top 2018 campus newspaper in the province for the second year in a row by the Ontario Community Newspapers Association. It’s the second consecutive year the Times has been awarded the honour. The Times had also earlier this year been named tops in the campus class in Canada last year as well. The student newspaper is co-produced by Algonquin College’s Journalism and Advertising and Marketing Communications Management students. 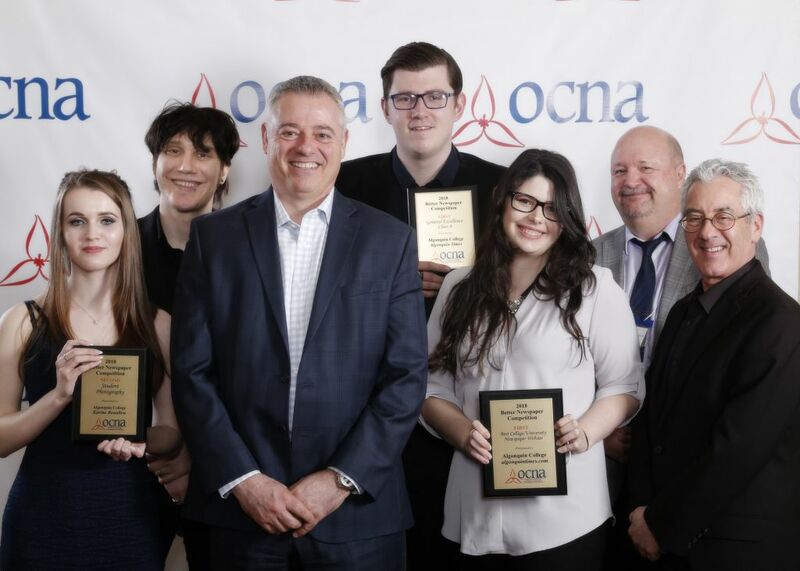 The awards were announced April 5 at the OCNA’s annual conference in Vaughan, Ontario. The judge based her decision on submitted issues from Oct. 5, 2017 and March 8, 2018, citing the adherence to campus content as the most significant factor for the win. 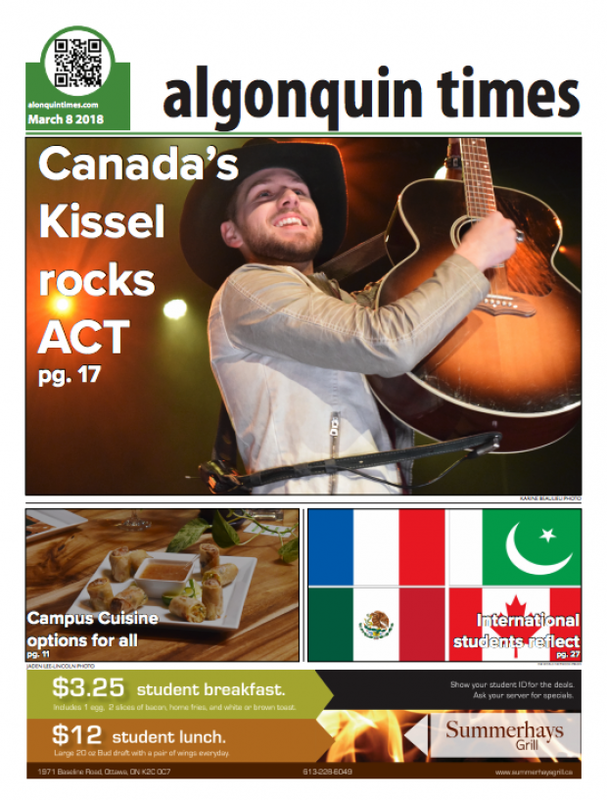 Second year journalism student Karine Beaulieu was also named runner-up in the Student Photography category, with a front page photo she shot of Canadian country singer Brett Kissell at his concert in March of 2018 (image below), performed at the Algonquin College Theatre. The annual competition judges overall quality of the paper and the website, including writing, research, advertising content, layout and design, photography and news and feature content. This is the third time in five years the Times won first prize in the competition. 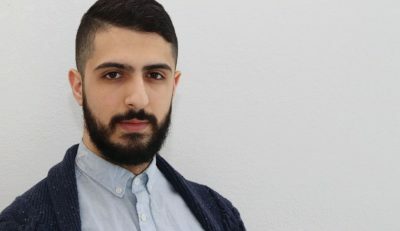 Times print, online editions named tops among campus newspapers in Ontario Reviewed by Joe Banks on April 11, 2019 .